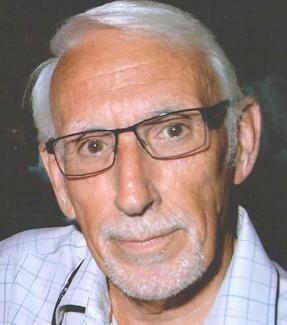 Ted Tayler was born in Corsham, Wiltshire in 1945. When he was five years old his family moved five miles up the road to Melksham. He’s lived there ever since. Ted’s been married to Lynne since 1971. They have 3 children and 4 grandchildren. 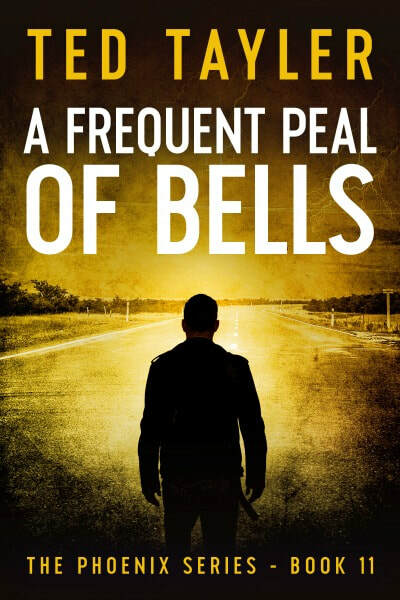 A devastating event in Colin’s life provides the final straw that herald’s a bloodbath. Can Phil prevent it happening or will he too be a victim? 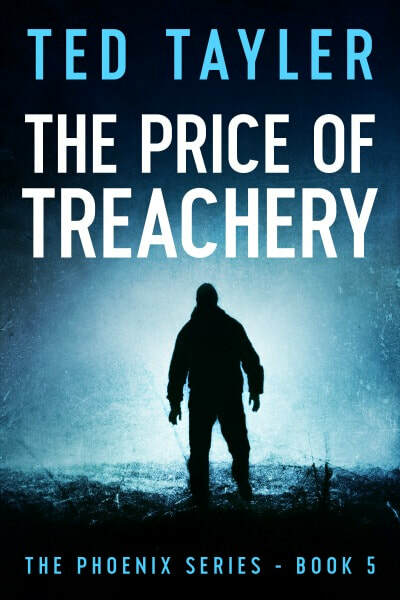 This tale of revenge spans almost two decades, yet the police are chasing shadows; it builds in pace and tension to a thrilling climax against the backdrop of a seemingly quiet West Country town. A collection of twelve short stories with an unexpected twist at the end. There are love stories, ghost stories and tales of revenge, all sprinkled with a touch of humour. In fact there's something for everyone, young or old. There are characters and situations you will readily recognise, but will you identify 'the sting in the tale' before you turn the final page? 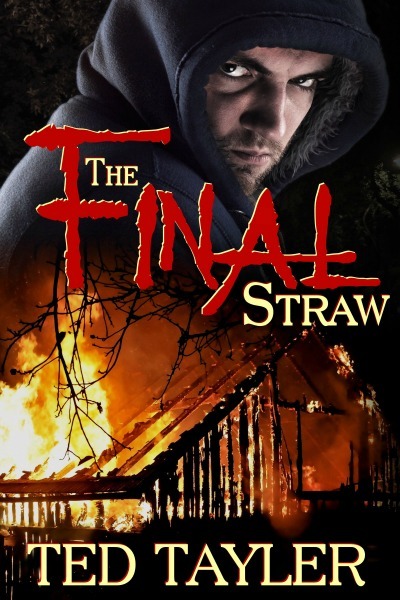 The sequel to the award winning ‘The Final Straw’ sees Colin Bailey return to the UK after almost a decade abroad. With a new name and a new face he still has scores to settle. His meticulous planning takes him ingeniously across Scotland and the North of England ticking names off his list with the police completely baffled. DCI Phil Hounsell pitted his wits against Colin before and so he is sent to Durham where he teams up with super intelligent young DS Zara Wheeler; together they track their man to Manchester and then eventually south to Bath. 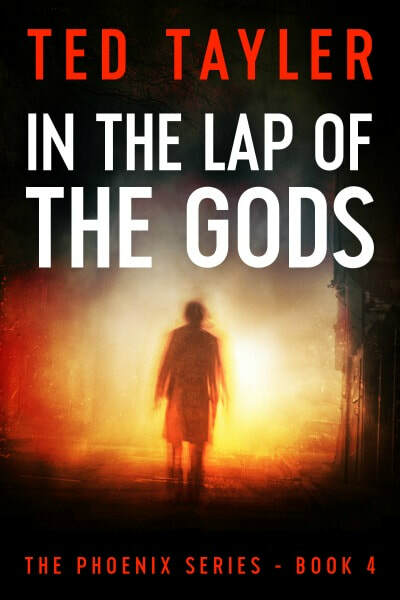 The final scenes take place on the streets of the Roman city; Phil Hounsell’s family is threatened and in a dramatic conclusion reminiscent of Holmes and Moriarty at the Reichenbach Falls, the two men struggle above the foaming waters of the historic Pulteney weir. 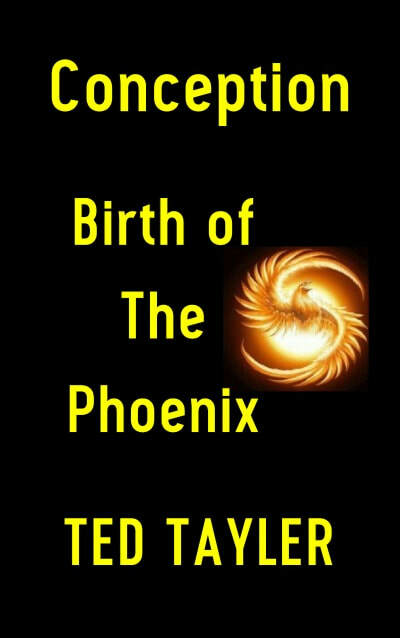 This is the first book in a brand new series featuring ‘The Phoenix’, a man rescued from a watery grave by strangers. He has been headhunted because of his particular skill set; that of a super efficient stone cold killer. The stories throughout the series will cover the activities of the secret organisation which recruited the man they have named ‘The Phoenix’ as they send their agents across the world removing anyone who poses a threat to political or economic stability. In this fast paced thriller we follow 'The Phoenix' as he exacts revenge and rights wrongs in his inimitable style. ‘The Phoenix’ has always been a loner; can he and his new colleagues work together as a team to prevent a terrorist cell from causing havoc in Central London? Set against the backdrop of the London Olympics, this is the second book in ‘The Phoenix’ series, where agents from The Olympus Project bring swift closure for victims of criminals who appear above and beyond the law. British security services, backed by unseen support from Olympus, are concentrating on preventing an organised terror attack on the Games. What if the real danger comes from a lone wolf? Could a bomber slip through the net? Don’t miss this second action packed thriller featuring vigilante killer ‘The Phoenix’. ‘Conception’ – The birth of ‘The Phoenix’ (July 2015), is a compilation of the two novels that preceded 'The Phoenix' series. 'The Final Straw' and 'Unfinished Business'. Catch up with the story so far. What molded the character of the main male protagonist of the series that features this vigilante killer? This third book in The Phoenix series has several interwoven themes and is full of surprises. We pick up the story immediately after the 2012 Olympics, with Olympus agents dealing with criminals in inventive ways. 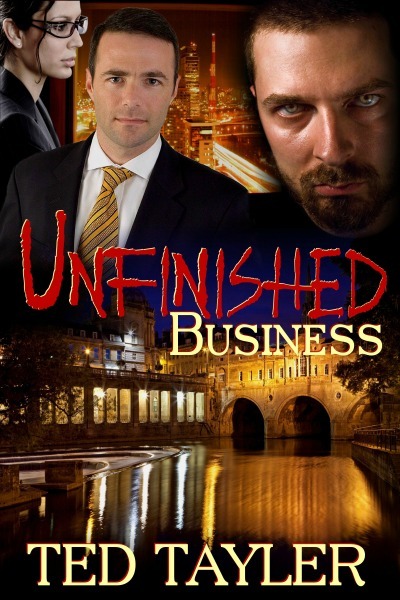 A couple of old faces reappear as we catch up with police officers Phil Hounsell and Zara Wheeler to discover what happened to them after those final scenes in ‘Unfinished Business’; the book that preceded this series. There are plenty of twists and turns and the excitement level in the action never dips, whether it’s during the Somerset floods or the Diamond Jubilee celebrations. There’s love gained and love lost; lives saved and lives lost. Each turning page brings another shock. The day draws ever nearer when Erebus, the figurehead of the Olympus Project is to retire. Where will the story go next; and who will be there to be a part of it? 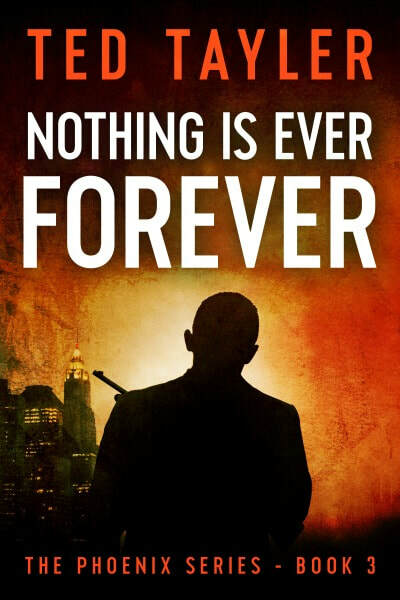 You need to read ‘Nothing Is Ever Forever’ to find out. This is the fourth book in the series so far, and it takes the stories featuring the Olympus Project in a new and exciting direction. 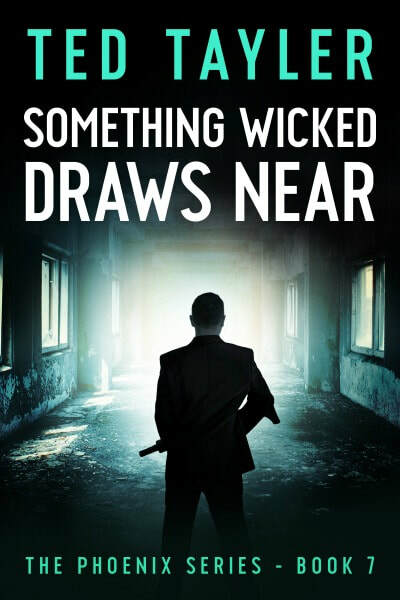 From Larcombe Manor, Phoenix and Athena have battles to win against vicious gangsters on home soil and urgently need to identify factions within the organization plotting to take it in a different, far more sinister direction. The opening scenes at Glastonbury 2013 to the closing chapter cover little more than a month in time. Yet in that short month, the landscape surrounding the Project is altered forever. The action is non-stop as it switches from the West Country to Windsor, then from England to the Mediterranean. Take a deep breath; once you start you’ll want to keep turning pages until the end. The fifth book in the series continues the fast-paced story as two factions vie for superiority within the Olympus Project. The Olympians and the Titans are in a power struggle. There are scores to be settled with unscrupulous landlords in London; a traitor inside Larcombe Manor to be uncovered. There is a new life to protect as Athena prepares to become a mother. The Phoenix needs all his wits about him and all of his skills to keep his colleagues and loved ones safe. If the final battle is lost, the Titans will take the organisation into a darker direction altogether. Their ultimate aim is to overthrow democracy in the UK. Who will win the day? The action never slows… the tension never slackens. A rogue cosmetic surgeon causes the deaths of several patients. Drug dealers target even younger children, and the school gates become the latest point-of-sale. In the sixth adventure of the series, Olympus agents confront domestic crises which carry them across England, Wales, and the Irish Republic in pursuit of their prey. The action is intense; danger only a moment away. Larcombe Manor adjusts to the arrival of baby, Hope, as New Year celebrations began at the Project’s HQ. In the first months of 2014, Phoenix must consider the future. Can he continue to risk his life in the field, now he has a daughter? As for the Project’s leaders, they are aware of the need to strengthen the organisation after the recent attempted coup. The Titans may have been defeated; but a new era dawns, and the nightmares are far from over. Elements that make up this sixth story are found to fit together, like pieces of a jigsaw. It becomes clear Olympus faces the insidious growth of a major criminal network with branches in every major city in the UK. Who is the mastermind behind it? Can they regroup in time to prevent it gaining a stranglehold? Only time will tell. There are many stories left to be told. In this seventh adventure, newly-weds Phoenix and Athena continue to battle The Grid and its leader Hugo Hanigan. Olympus seeks to strengthen its manpower and recruit fresh faces to its upper echelons to provide finance for its missions. When one of The Grid’s gang leaders is convicted of murder, Hanigan immediately takes bloody revenge. Every resource at Larcombe Manor’s disposal is at full stretch, attempting to stop the course of justice being perverted. If only they could find the elusive madman! Action needs to be taken to flush Hanigan out. Phoenix and Rusty lead the retaliatory strikes. A nostalgic trip to Dublin for Hugo Hanigan brings the curtain down on this first part of The Grid’s story. 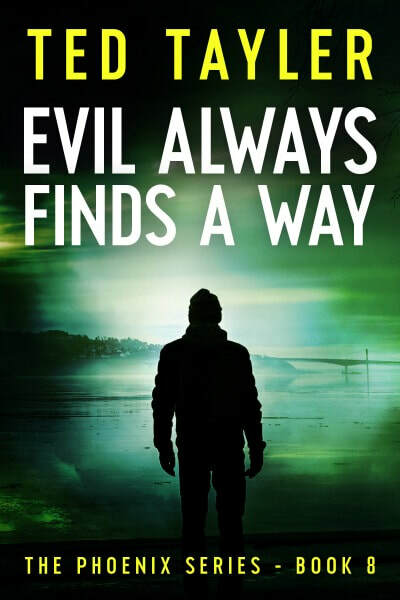 It continues in the eighth book ‘Evil Always Finds A Way’. 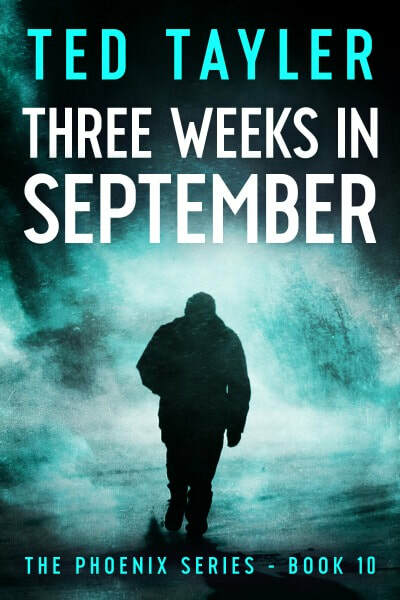 The drama unfolds over forty days and forty nights across the UK in book eight in this thriller series. A trip to Dublin for Hugo Hanigan closed the first part of The Grid story. It continues here as death becomes a constant companion to Phoenix and his Olympus colleagues. Can Olympus halt the reign of terror perpetrated by The Grid? Direct actions against gangs in the North and South of the country help Phoenix deliver telling blows. A prison break brings a further twist in the tale. Will a darker force emerge, one that threatens to become the final opponent for Olympus? So much can change in such a short time. When this story reaches its conclusion one thing is certain, the next instalment promises to be even more exciting and unpredictable than the last. 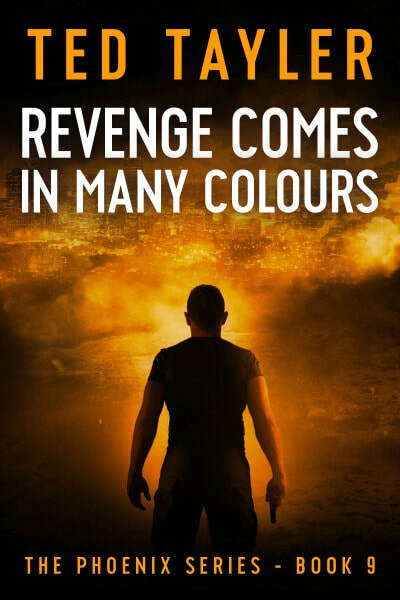 There are more stories to tell in ‘Revenge Comes In Many Colours’ later in 2017. 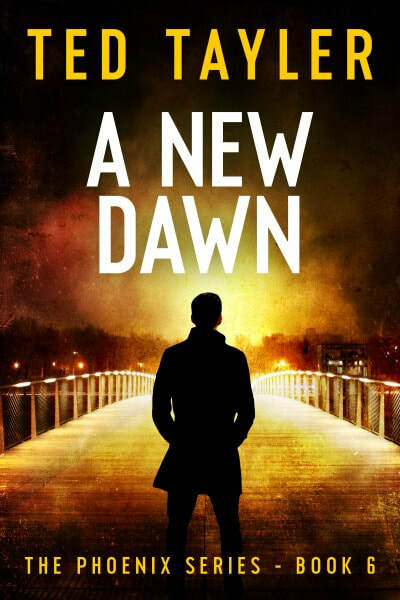 This ninth thriller in the Phoenix series focuses on justice and revenge. There’s non-stop action as Olympus agents strike in Scotland, and the North East. The Grid has internal battles to fight as Colleen O’Riordan strengthens her hand in the capital. Who is her secret assassin? What will become of Sean Walsh, her brother-in-law, and Hugo Hanigan the Grid’s leader? In every Phoenix story there’s balance. To counter its darker moments, can Henry Case and Sarah Gough’s romance flourish, and will Hope’s christening be an occasion to enjoy. Back in the action, Phoenix has his own struggles when a female villain digs in her claws. The excitement never lets up as the vigilante organisation battles organised crime, and step by step, the Olympus story moves closer to its final instalments. In this tenth story, the Grid becomes all-powerful under its new leadership. Olympus has its own internal battles bubbling under the surface. The UK is on the brink of buckling under the onslaught from organised crime and terror attacks sponsored by Islamist extremists. Can Phoenix and the others stem the tide without revealing their hand? Step by step the true nature of all the main protagonists becomes clearer. Olympus has always operated in secret; will its security be breached at last? Enough passion, excitement, and tragedy to last a lifetime; experienced in three weeks. The action never slows, and the tension never slackens. vigilante justice, murder mystery, secret organisation, crime thriller, suspense, revenge, closure. The Islamist terror attacks resume, and the Grid wields its power with sustained bursts of criminal activity. Government resources are stretched to breaking point as cuts to security services and the police hamper their response. Olympus agents, with the help of the Irregulars, try to help without revealing their involvement. They are unaware of the Grid’s plan to use a Trojan Horse to breach their security. What will become of the Project if that happened? To balance the chaos generated by terror and organised crime, those living at Larcombe Manor have cause for celebration. There are both long-overdue, and surprise announcements. Orion makes a shocking discovery in his first task for Olympus. News that rocks the Project to the core. 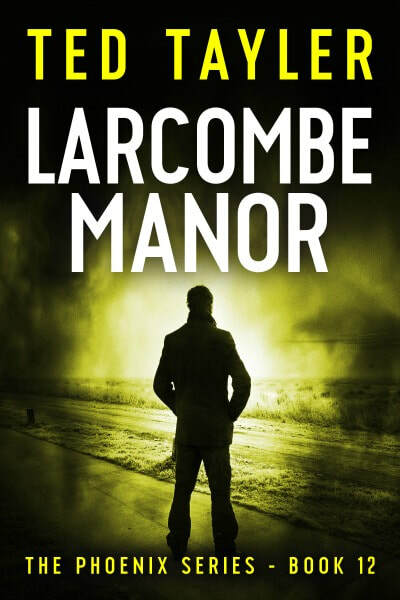 Each page leads to the twelfth and final chapter of the series, ‘Larcombe Manor’. In the final book in the series we join the action at Westminster as the vote of confidence takes place. Which way will the vote go? Will the government fall? Could the forces of evil take advantage of the vacuum in the lead-up to a General Election? Can Olympus continue to thwart the ambitions of the all-powerful Grid? 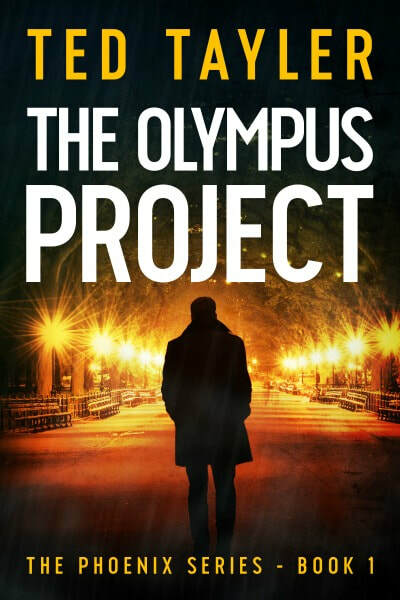 Will the authorities be given the resources to uncover the truth behind the Olympus Project themselves? Will the Larcombe Manor families survive the troubled waters that lay ahead in 2015? These are the unanswered questions. Many dangers face the Olympus agents before we reach the climactic conclusion of ‘Larcombe Manor’. It will be as unpredictable as the other eleven books in the series. Strap yourselves in. It’s going to be a ride to remember.